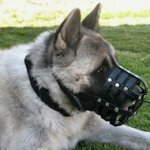 You will find it here.We have range of muzzles for every service,police,working,sport and large dog.Leather muzzles are more comfortable for your dog and are also very practical for training,traveling,patrolling,guarding and visiting the vet.All our muzzles completely safe and non-toxic.Among the advantages: leather muzzle will not stick to a dog's snout in winter and will not reflect excessive sunlight. 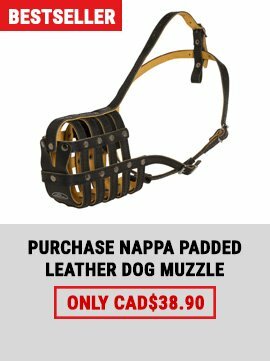 Inhibits biting and chewing. 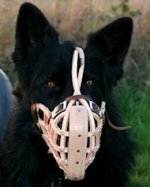 Extremely difficult for the dog to dislodge with it's paws. 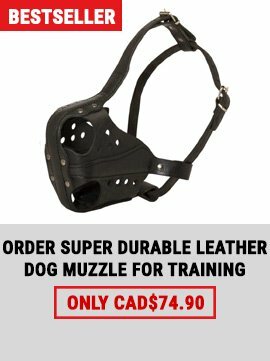 It is never advised to leave your dog unattended while muzzled.We have muzzles for different breeds of dogs.Our muzzles are made of leather.We use nickel or brass plated hardware.Most of the operation are performed by hand,that is why our muzzles are of outstanding quality. 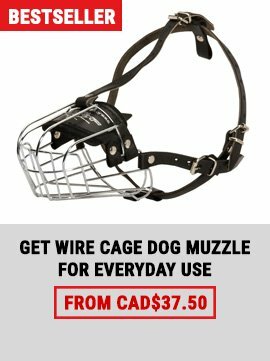 buy Large dog muzzle,leather dog muzzle,wire basket dog muzzle!